Paducah, KY, April 2, 2018—As an UNESCO Creative City, Paducah, Kentucky is known for connecting cultures, and the American Quilter’s Society (AQS) and Paducah Arts Alliance (PAA) have joined forces to do just that. 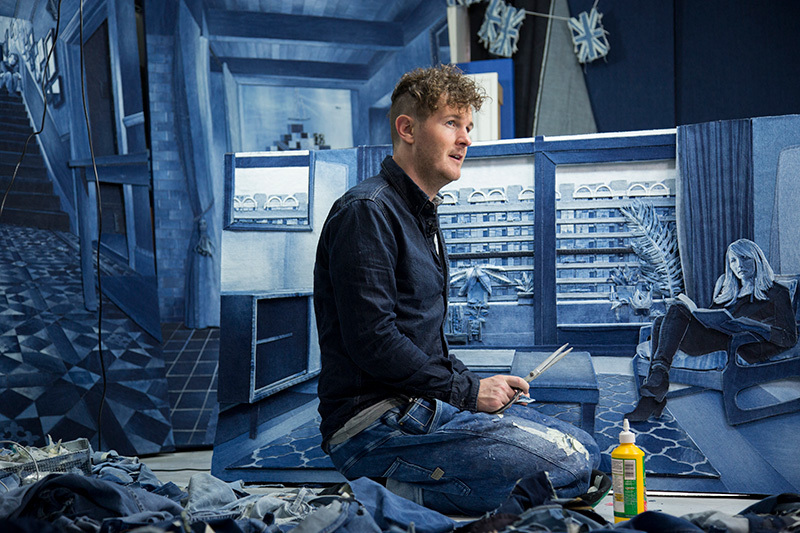 In anticipation of the upcoming AQS QuiltWeek® – Spring 2018, AQS and PAA are pleased to host internationally acclaimed “Master of Denim” (Complex magazine) Ian Berry from the United Kingdom on April 8-22, 2018. The American Quilter’s Society is the largest quilting membership organization in the world. For close to 35 years, AQS has been the leading voice in quilting inspiration and advice. At AQS, we believe that with the proper resources, the creative individual can take their quilting projects beyond what they can imagine. For more information on the American Quilter’s Society, please visit americanquilter.com or call 1-270-898-7903.